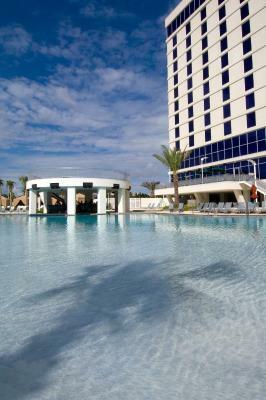 Lock in a great price for Hard Rock Hotel & Casino Biloxi – rated 8.7 by recent guests! Custodial staff greeted us every time we crossed paths. Room service was excellent. So was the food. Our room had a beautiful eastern view. Two days of rest and relaxation was just what my mind needed. Thank you for making that happen. Everything it was amazing beautiful location . food was great casino was great. 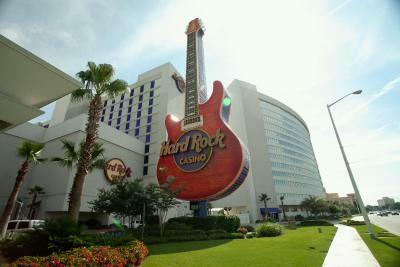 I didn't have breakfast at the Hard Rock Hotel and Casino. The staff was awesome Kira and Michele made check in and out very smooth.. Andrew in the Cafe made our dining experience great the hostesses were also great! The Suite!!!!!! OH MY GOD!!!!!! !BEST ROOM AND VIEW EVER!!!!!! Very unique experience. 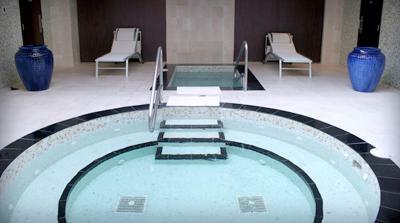 The pool is large and featured two hot tubs as well as a separate wader for the little ones. The Cobb salad from one of the restaurants in the hotel was the best ever. The location, you cant beat it. Hard Rock Hotel & Casino Biloxi This rating is a reflection of how the property compares to the industry standard when it comes to price, facilities and services available. It's based on a self-evaluation by the property. Use this rating to help choose your stay! 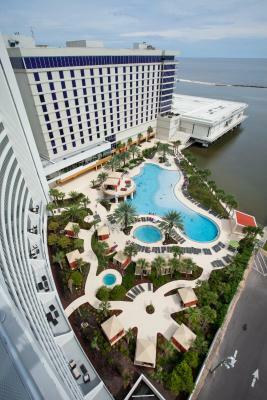 A mini bar and bathrobes are provided in all the rooms of the Hard Rock Hotel and Casino Biloxi. 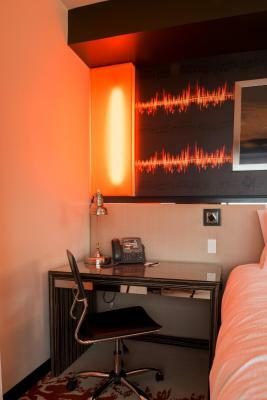 Rooms feature modern decor and are equipped with a flat-screen cable TV, a work desk and tea- and coffee-making facilities. 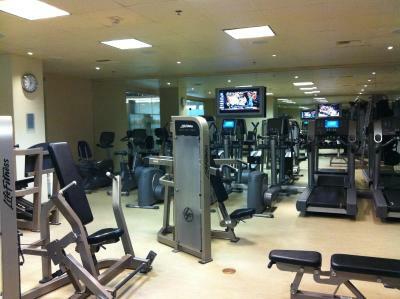 Concierge services and a fitness center are available to the guests of the Biloxi Hard Rock Hotel and Casino. 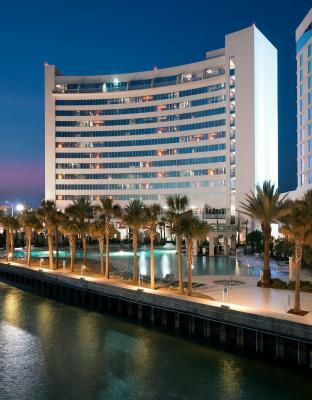 Guest can also enjoy Tequila's on the Gulf, which features the Sound Bar, private cabanas and Tequila's on the Gulf Restaurant. 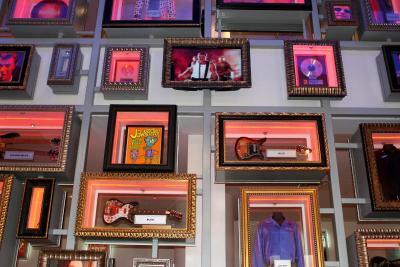 The 10 restaurants at the Hard Rock cater to all tastes and palates. 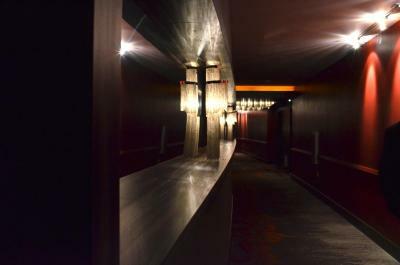 The fine dining restaurant offers steak and seafood dishes. 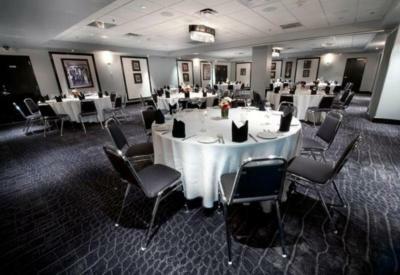 Casual dining and snack options are found at the other on-site restaurants along with lunch and dinner buffet options. 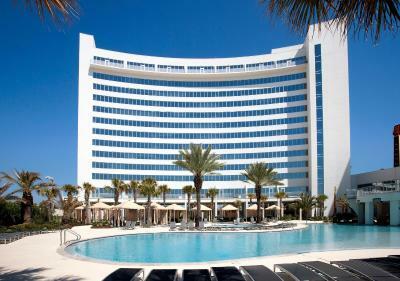 Central Biloxi is 1.2 mi from the hotel. Ship Island Excursions offers passenger ferry services and is located a 15-minute drive away. 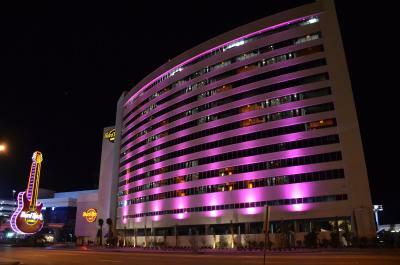 When would you like to stay at Hard Rock Hotel & Casino Biloxi? 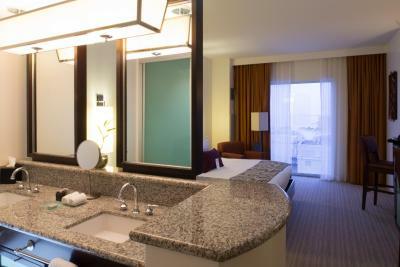 This double room features a cable TV, tile/marble floor and bathrobe. 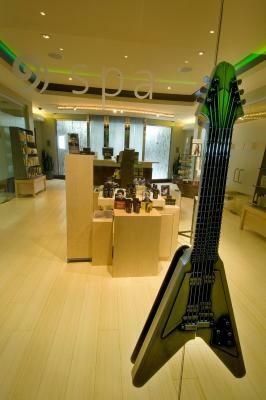 This twin room has air conditioning, seating area and CD player. 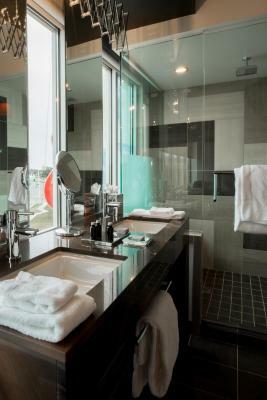 This quadruple room features a mini-bar, tile/marble floor and bathrobe. 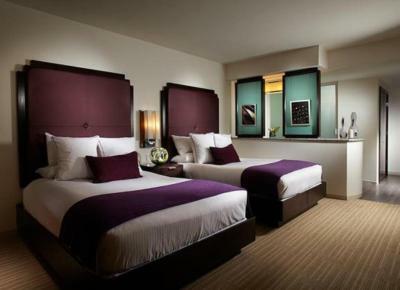 This twin room has a mini-bar, tile/marble floor and air conditioning. 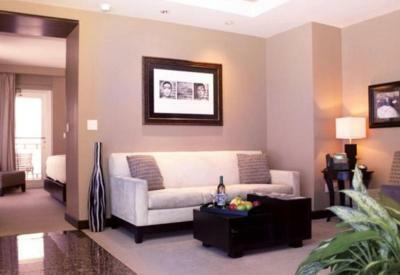 This double room features a tile/marble floor, mini-bar and seating area. This double room has a seating area, bathrobe and CD player. This double room features a CD player, mini-bar and cable TV. 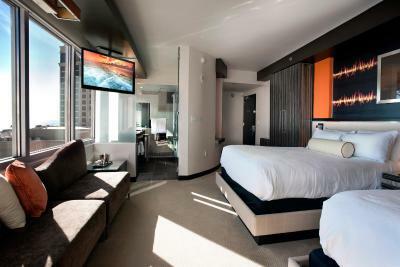 This double room features a tile/marble floor, bathrobe and CD player. 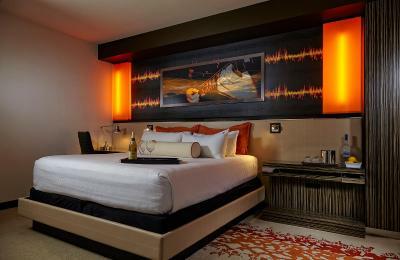 This twin room has air conditioning, cable TV and seating area. 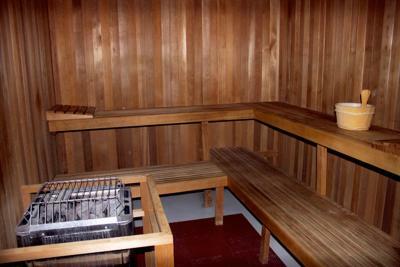 This twin room features air conditioning, seating area and bathrobe. 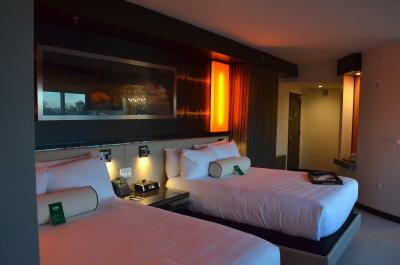 This twin room has a tile/marble floor, CD player and mini-bar. 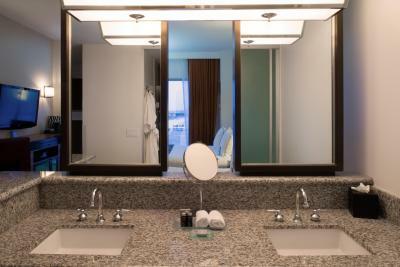 This twin room features a tile/marble floor, CD player and bathrobe. 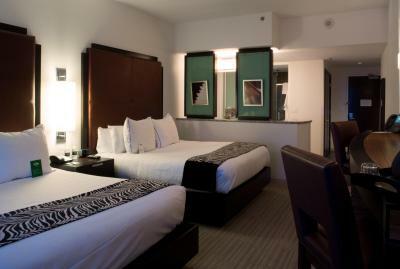 This twin room features a tile/marble floor, bathrobe and air conditioning. 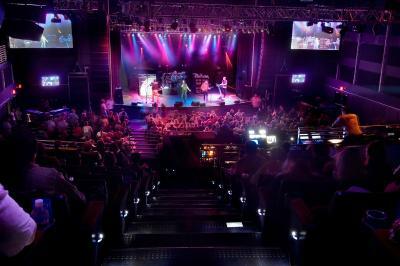 House Rules Hard Rock Hotel & Casino Biloxi takes special requests – add in the next step! 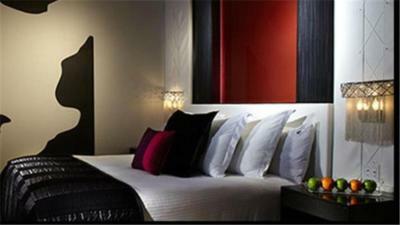 One additional child or adult is charged USD 15 per person per night when using existing beds. 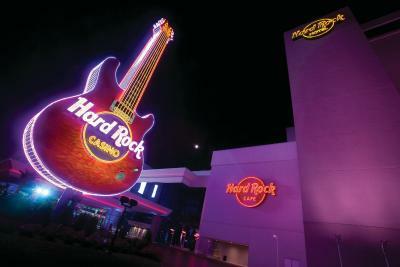 Hard Rock Hotel &amp; Casino Biloxi accepts these cards and reserves the right to temporarily hold an amount prior to arrival. 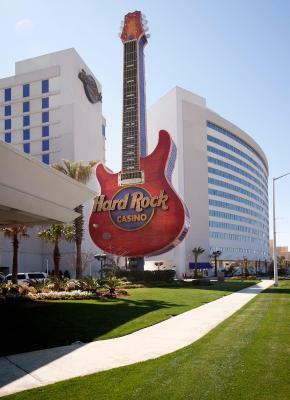 Hard Rock Hotel & Casino Biloxi accepts these cards and reserves the right to temporarily hold an amount prior to arrival. Tequila's on the Gulf Restaurant, the Sound Bar and the pool and hot tubs are open daily from 08:00 to 22:00. Private cabanas may be available for an additional fee. Please contact the property for more details. 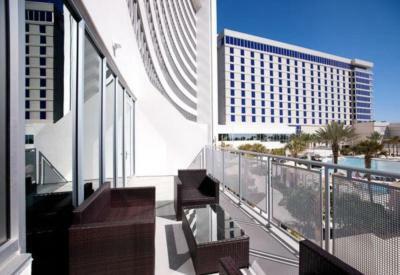 Guests must be 21 years of age or older to reserve rooms and check-in at this property. 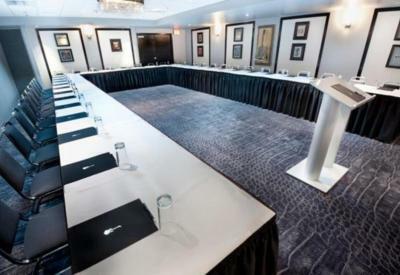 Please note that the guest name and credit card used at time of booking must match the guest's name and credit card at check-in. For third party authorizations, please contact the property after booking. 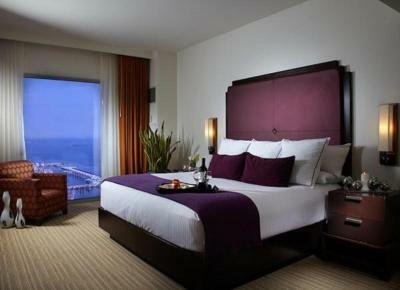 Please note that the property will evaluate rooms upon check out and a cleaning fee may be charged. 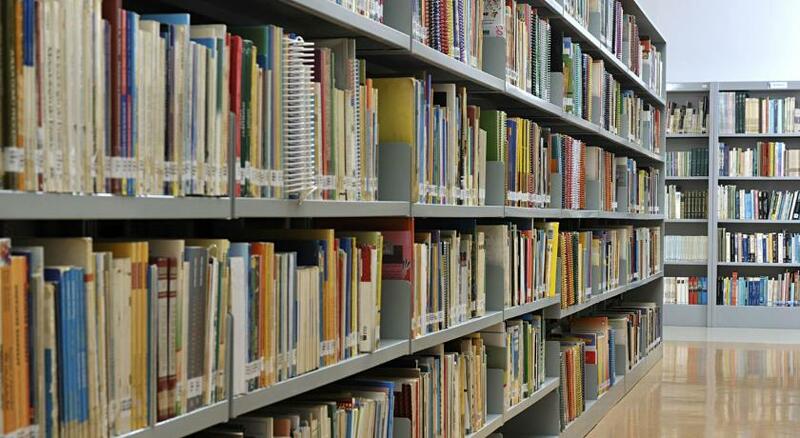 Please note that special requests are subject to availability and cannot be guaranteed. Please contact the property prior to arrival for details. You can use the Special Requests box when booking, or contact the property directly with the contact details provided in your confirmation. That I didn’t have enough money to stay a whole week!! The prices of the food in the hotel. It is expensive to eat inside the hotel, even at the little food places like Ben & Jerry’s ice cream. My only negative experience was at the casino... the hotel was more than I expected. Bathroom door did not close.. When I spoke to desk MGR I told her I had just arrived and wanted a different room.. She said I could upgrade for $40.00 more per night. 50 people in line to check in with 5 behind the counter with only one checking people in. Waiting 45 minutes was unacceptable. To me beds were too firm. 2 light bulbs out in room. Batteries fell out of safe. Artwork gone from wall but hangers and latch still there. I wanted the buffet but the food at Sugar Factory was good. Room was clean and AC worked well. Some of the items on the nightly buffet were cold that should have been hot or at least warm. And for a buffet that's priced over 30.00 I would expect food to be warmer especially when I arrived early. I didn't realize when booking that our view would be the air conditioning units to the hotel, but it all was good otherwise. The mattress was very uncomfortable and the bathtub and toilet were not well maintained at all.. the coffee pot was too old for a luxury property!